the nelsons: baby noah sleeping. it's fun to see the little habits that start to form with baby noah without even trying. for a while now, we've developed a little routine with noah where we will give him a bath together, get him in his pajamas, cortney will read him a book, and then pass him over to me to get him to sleep. just recently, noah recognizes what's coming, and once he's done with his book, he'll give cortney a kiss. open mouth. all slobbery and adorable. and as cort turns off the light and walks out the door, noah will wave goodbye to him, as he excitedly gets ready to nurse to sleep (seriously...he gets excited. almost 13 months in, and still one of his favorite things to do). 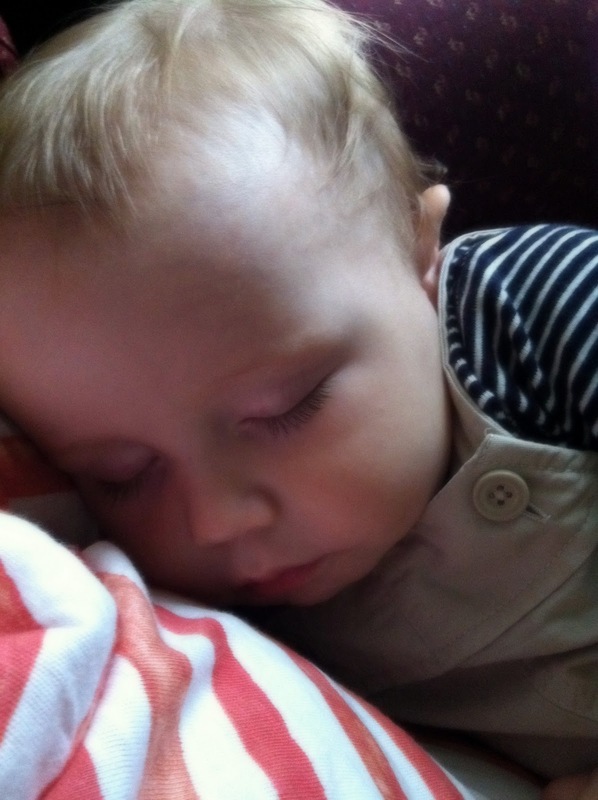 and almost 13 months in, there is still nothing better than rocking and cuddling my little boy as he sleeps peacefully. it makes my heart so warm, every single time. I found your blog! Noah is just SO cute!